The new Citroën SpaceTourer Business is available to order here at Motorparks, with the vehicle ready to comply with whatever type of business you run. Because of its extreme modularity, this MPV can be customised so that it's perfectly setup to act as a professional people carrier, a hotel shuttle or a taxi. Whatever your needs or the requirements of your customers, the new SpaceTourer Business will be able to meet them. The new Citroën SpaceTourer Business, the versatile MPV, is available now from Motorparks Citroën and Oldham Motors Citroën. Fit the new Citroën SpaceTourer Business with a BlueHDi 115 S&S 6-speed manual engine on a Mixed Consumption cycle and you'll be delivered with a vehicle that boasts the best fuel consumption of its entire segment - 54.3 mpg along with producing just 133 g/km of CO2 emissions. The exterior design of the new Citroën SpaceTourer Business enables the vehicle to showcase robustness and assuredness wherever it is driven, while its cabin is incredibly spacious and practical in its setup. Upon first glimpse at the new SpaceTourer Business, you're sure to pick up the MPV's fluid and assertive design. This look helps to put you in command throughout the duration of every road trip. A dynamic set of wheels are sure to draw plenty of attention as well, while its rear panel combines style with functionality to reveal a large tailgate that's primed for travel and provides subtle hints at the spacious cabin which awaits when stepping behind the wheel. The new SpaceTourer Business features a cabin which has been designed with relaxation and user-friendliness in mind. Whether you're taking a group of holidaymakers to the airport or a sports team to an event, all passengers will have so much space to make use of. All seats in this MPV have been styled using soft and warm materials to deliver high levels of comfort too, while getting in and out of the vehicle is simple thanks to its sliding side doors. 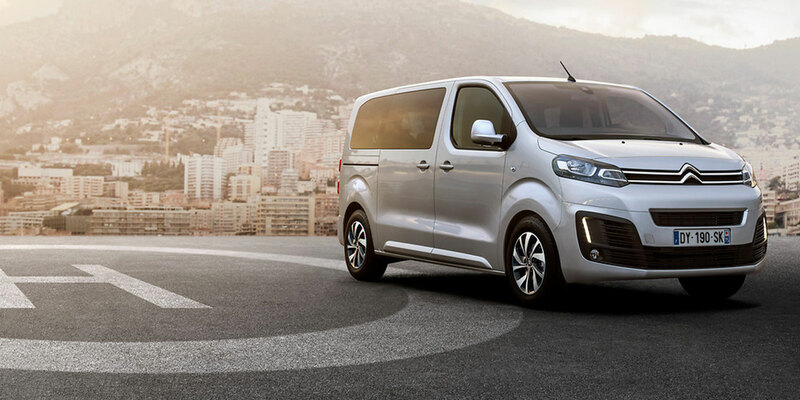 You're sure to feel safe aboard the new Citroën SpaceTourer Business, once you notice all the driver assistance aids which have been packed into this MPV. A blind spot monitoring system will alert you about nearby vehicles which you may not have noticed when attempting a driving manoeuvre, for instance, while a speed limit sign recognition feature works in real-time and provides you peace of mind that you're never breaking the speed limit. You have two equally impressive trims to select from when deciding to make the new Citroën SpaceTourer Business your next set of wheels - the Business model and the Business Lounge variant. Contact us online to enquire about the unique features of each trim level, as well as to learn even more about why this MPV will be a fantastic vehicle to be used throughout your business. Would you rather see the vehicle in person? Not a problem, simply visit us at our Oldham Citroën dealership in Greater Manchester.